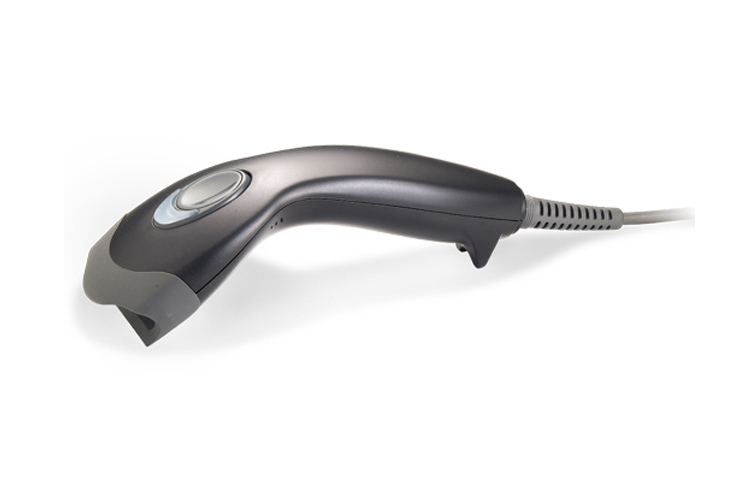 The NuScan 2100 handheld barcode scanner is a middle range CCD scanner that is designed to offer an unsurpassed combination of flexibility and power. It has an ultra-slim form factor that reduces user fatigue and a durable trigger switch design that stands up to even the heaviest usage. 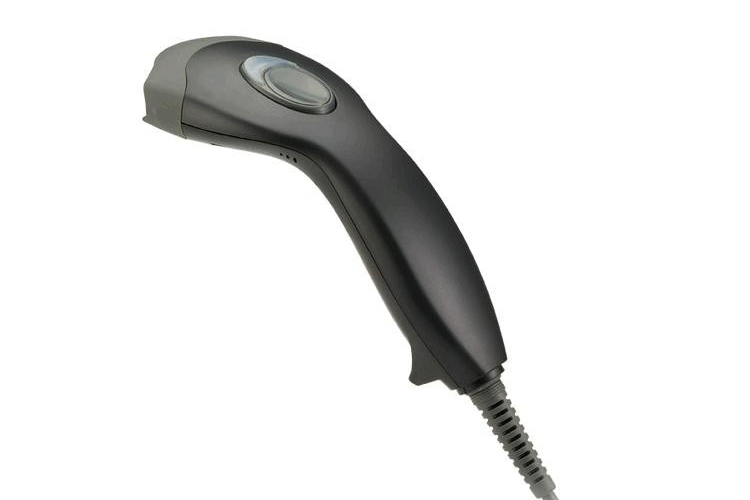 The NuScan 2100 built-in decoder enables it to handle the majority of 1D barcodes in existence. 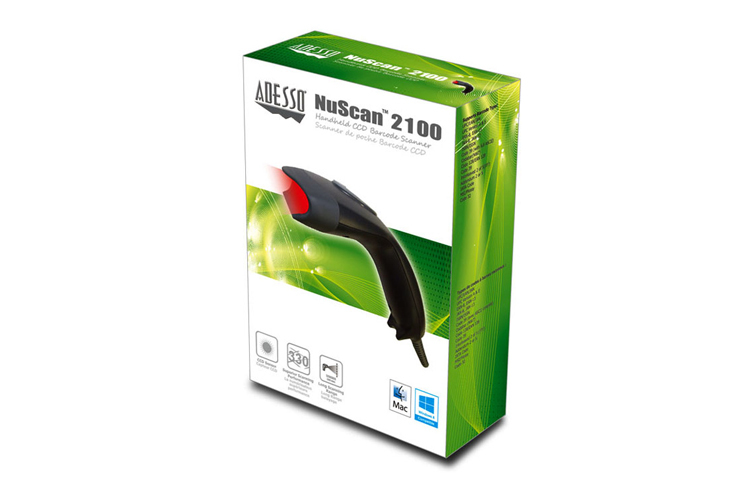 With its LED scan indicator and programmable tones, users can receive instant scan feedback from the NuScan 2100. 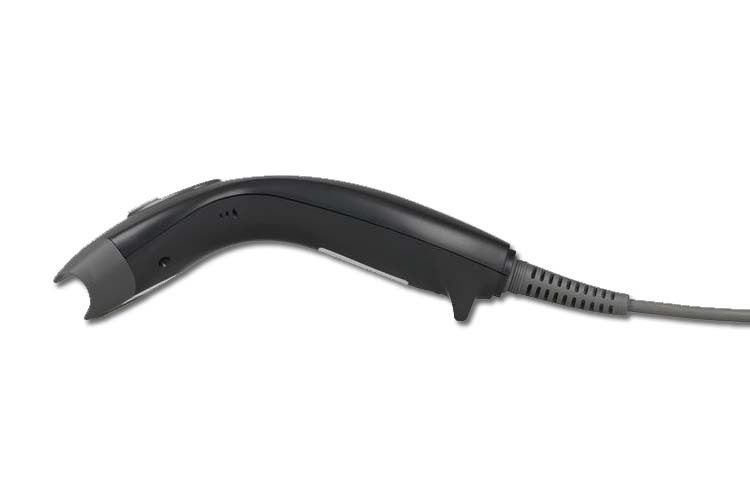 Its multi-interface and equipped with field replaceable cable give user flexibility in operation. Just plug into your host device and it is ready to work, no hassle, and no operator training required. The NuScan 2100 offers a compelling scanning solution at a price that is hard to ignore. 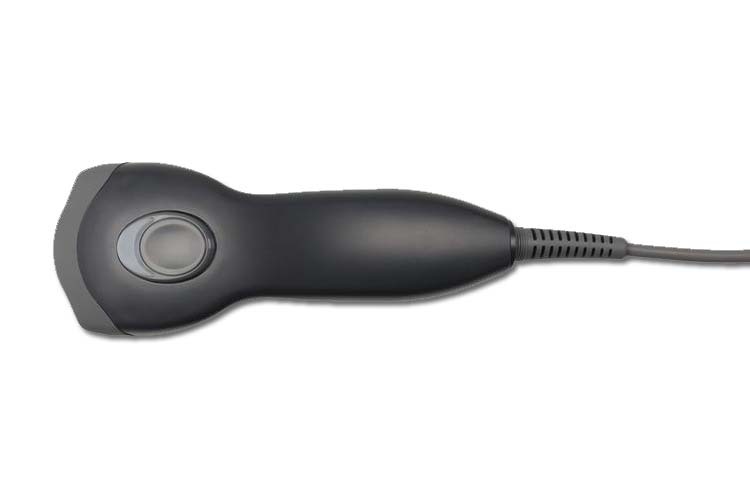 Sleek lines, easy-to-hold grip and thumb-switch offer maximum comfortable for long scanning use. The 330 scans per second rate and innovative high pixels CCD offers fast and accurate scanning results. Its built-in decoder can read the majority of 1D barcodes in existence and its driver-less operation makes it easy to use with both Windows and Mac operating systems. The CCD sensor is able to scan barcodes up to 12 inches scan depth. 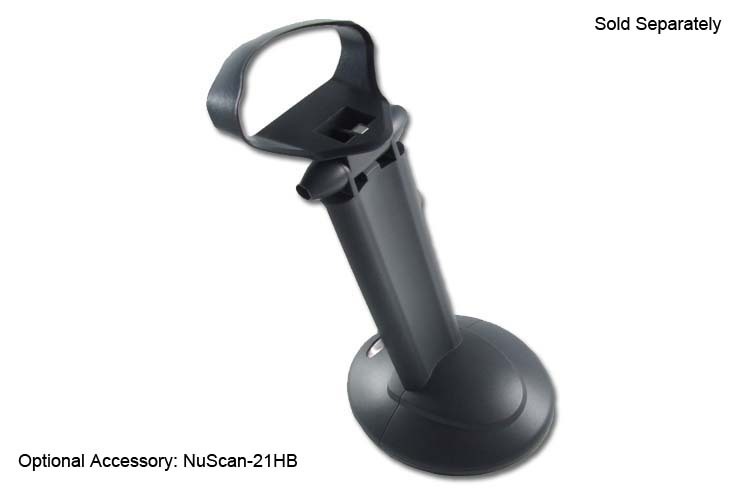 Black Barcode Scanner holder for your NuScan 2100 Barcode Scanner.